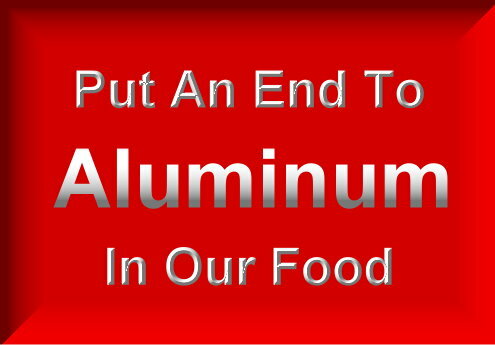 In recent years, aluminum has become a great concern. It has been linked to Alzheimer's, and more recently has been linked to Attention Deficit Disorder. The link is strong enough that concerned medical professionals have recommended that aluminum cookware not be used in preparation of meals, and that personal care products that contain aluminum, such as deodorant and antiperspirants, be avoided. Aluminum is dangerous - no question about it. So, if it is so dangerous to our health, why is there so much hidden in the foods we purchase from the store? Recently, my family started making homemade flour tortillas when we could not find a single brand at the grocery store that did not have aluminum in the ingredients. Aluminum is dangerous - no question about it. Other foods we have found that have aluminum in them are cake and bread mixes (cake and bread), corn muffin mixes, coffee creamers (including my favorite cinnamon vanilla), frozen pizza bites, and baking or biscuit mixes. At this point, every trip to the store is a quest for truth as we scrutinize every can and box that is picked up. At the very least, everything that has leavening in it is suspect. Even over-the-counter and prescription drugs sometimes have aluminum in them. And don't forget to check toothpaste and other personal care items such as cosmetics. More recently, baking powder has been identified as a major source of aluminum in the American diet, so much so that the level of aluminum is toxic. Who knew that making homemade baked goods, which are supposed to be better for us, meant feeding our families poisonous aluminum? The good news is that if you are diligent enough, you can find or create products that do not poison those you love. Cremora coffee creamer does not have aluminum. Some store brands, too, do not have aluminum. Cakes and biscuits are not much harder to whip up from scratch than from a box. The issue is still the baking powder. Fortunately, there are alternatives. Watkins has a baking powder that is aluminum free, as does Rumford (which also makes Clabber Girl which does have aluminum in it), and Bob's Red Mill. I am sure there are others, but these are the only baking powder products without aluminum of which I am aware. Another alternative is to make your own. Pour mixture into an airtight container for storage. Homemade baking powder should not be made in large quantities, as it has a short shelf life. It should be refrigerated. When using homemade baking powder, do not allow the cake or bread to sit more than a very short time before baking, as the leavening strength will dissipate. 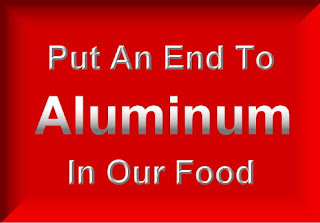 Does aluminum in your food concern you, too?